Music is the heartbeat of this novel about the world of hometown musicians—the jamming venues, the contests, the onstage cues, the subtle rules. The story focuses on four musicians: Carl Bradshaw, an aging Oklahoma fiddler; Amy Chandler, a young dumpling who can outpick most guitarists; Jack Martin, who lives in the shadow of a successful father; and Cora, an older woman on the edge of a world she believes can’t be hers. The novel’s structure reflects the sets of a performance on stage, with smaller sections that serve to introduce the musicians. Song titles, phrases, and sounds are part of the language, as are the characters’ styles in speaking about music, creating it, and performing it. 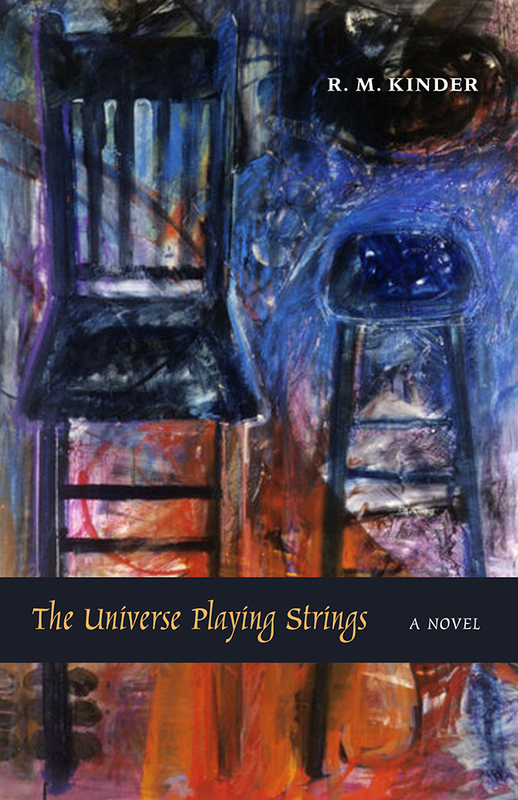 With its winning evocation of the joy of playing together, The Universe Playing Strings will remind readers of the movies Once and Crazy Heart. R. M. Kinder is the author of a novel, An Absolute Gentleman, and two books of short fiction, A Near-Perfect Gift and Sweet Angel Band and Other Stories, as well as a coauthor of a dual-media biography, Old-Time Fiddling: Hal Sappington, Missouri Fiddler. She is a professor emerita of English at the University of Central Missouri and an editor emerita of the literary journal Pleiades and Pleiades Press.